Ross Optical offers a variety of lens types including spheres, aspheres, and micro optics. They’re available from under 1mm to over 150mm in diameter and are ideal for OEM applications in R&D, electronics, semiconductor, pharmaceutical, biomedical, and military markets. In addition to a variety of custom and standard optics, Ross Optical offers a full range of coatings down to 190nm. Types of coatings available include broadband anti-reflection, single wavelength anti-reflection, and infrared coatings. Ross Optical also offers First Article inspection reports, coating scans, materials certifications, and RoHs Certificates through their Metrology and Inspection division. They also offer white room and clean room assembly services. Ross’ team of engineers have helped to make cost-saving recommendations for a variety of manufacturers. A recent example includes a company that developed medical devices for use in eye surgery and exams. Ross Optical was able to produce and inventory these special types of optics for the company, ultimately resulting in lean manufacturing practices and keeping overall cost down. Another recent example includes a particle analysis company that was unable to find a solution for their 2-wavelength, 2-lens assembly need. Ross Optical developed a single lens with a dual coat that was able to achieve 405 and 780 nm wavelength needs with a 0.1% reflection. The result was improved performance, reduced cost, and a reduced part count. 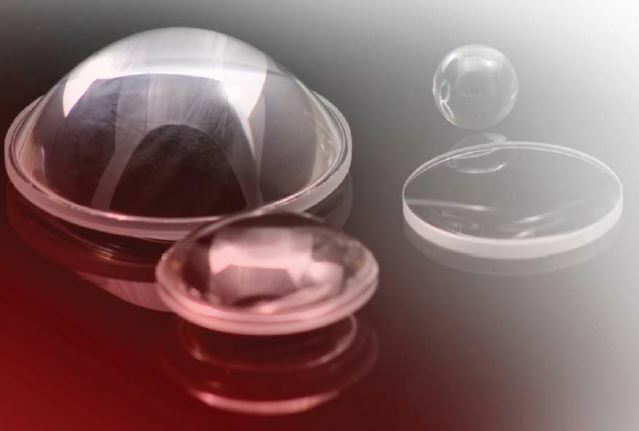 For more information on custom optics and assemblies, download the brochure. You can also contact Ross Optical directly to request more information or to discuss your application.